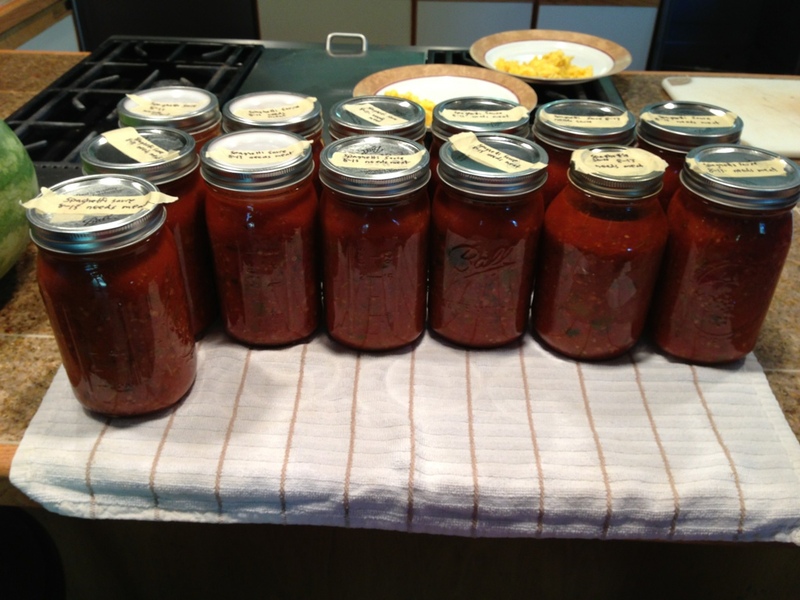 13 quarts of spaghetti sauce is our last hurrah of canning for the summer unless we decide to can some beans. We may have some tomatoes that sneak in before the season ends but they will probably end up as salsa. With the previous 20 quarts that gives us 33 quarts put away this summer. Since mom and dad are on Atkins, that’s an awful lot of sauce and should last us well into next summer.